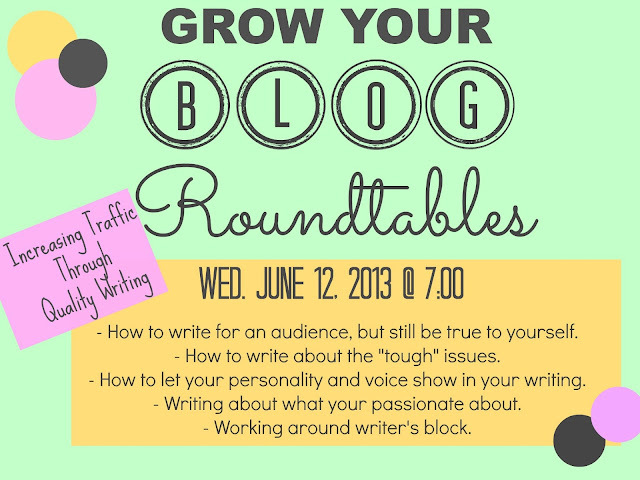 I still have a couple of seats left for our blogging/writing roundtable on Wednesday. It's the roundtable to beat all roundtables! Email me at thelifeofbon@gmail.com if you want in. It will be held at a public place in Orem. I am beyond excited. Speaking of writing. Tonight I had writer's block. I knew I should write because I always write on Sunday nights. And yet, tonight I had not one idea of what to write about. Just a need. So then here's the question. What do you do when you need to write, and you know you need to write, but you have no idea what to write about? No ideas, no thoughts, just that pressing need? I ain't no professional, so I get stuck a lot. But I also get unstuck a lot. So here's some ideas that have helped me when my fingers beg to write, but my brain comes up with nothing. 1. Look at old pictures. 3. Take the dog for a walk- get outside! 4. Go somewhere public and people watch. The mall is always a great target. In the summer, the water park or pool works absolute magic. 5. Read about current hot topics- something from Time magazine (which lead me to write this post on breast feeding) or Huffington post. 7. Carry a notebook with me as I run errands for a couple of hours, and write down thoughts or ideas as they come to me. 9. Get out of the house. I go somewhere- anywhere- and my mind starts to turn ideas like crazy. 10. Write everything that comes to your mind the moment it comes to your mind (As seen here and here.) It ain't no beautiful writing, but many times an idea will emerge. 11. Google "Cure writer's block." Kidding. Kind of. 12. Call and talk to a friend that you haven't talked to for a long time. That's all I got people. You got some ideas to add to the pot? List them in the comments and my favorites will be posted with a link to your blog on Wednesday. I love this blog. Writers block is the worst. I had a blog last year that I consistently wrote in and I never felt like I was lacking inspiration. Then I decided to take some time off and coming back to blogging was such a struggle. It really does feel like you have nothing going on when your mind isn't in the right mindset. You just have to stick to it! When I struggle with writers block, I turn to some old favorites. I keep a stack of my favorite books right next to my bed and when I can't write, I look to the masters for some inspiration. Reading the beautiful words of others makes me want to create more beautiful words of my own. Loved this post. When I get writer's block, I start writing lists of things. Just random lists. Things I want for my birthday, moments I'd like to forget, things I would show you if you came to visit my city for the day. That usually gets the creative juices flowing. I also find that reading the comments on my blog posts helps a lot. People often leave suggestions about what they would love to read. "Oh I would love to read a part 2 of this!" Sometimes you have to read in between the lines though. Ex: "Whatever happened to that old guy you mentioned in the story anyways?" Great tips. When I get an idea for a post, I try to memo it in my phone. Great tips. My ideas always come to me when I am driving LOL! Loved this! I find I have writers block pretty rarely (thank Goodness! ), but agree with all the tips you gave. Inspiration is everywhere! Hot topics, general life issues, mental angst...there is always something:) I also agree with writing consistently. The more I write the more I find phrases in my head that "have to get out." Blogging rocks, huh? The ability to write daily makes me happy. One of my favorite ways to cure writer's block is to attack some crazy housewife project like I'm about to get fired if I don't: whether it's cooking, de-cluttering, or wiping out the grime that's gotten in the grout (again), housewife-type duties always get my gears going. Maybe it's cuz I hate doing them so much that my brain immediately crafts an escape. My brain's kinda awesome like that. I have some blog series that I started way back in the day, ones that I only update periodically. If I really feel like blogging, but I don't have any special inspiration, then I just add a post to one of the series I've already started. (Specifically, addressing virginity myths, explaining my feminism, sharing my adventures with online dating, and talking about consent). Sometimes when I'm blogging, I'll write out a paragraph or two that I really like, but I'll realize it's a crazy tangent from my post. I keep a word document for these snippets, and when I have writer's block, I just pull up the word document and choose a topic. In the same document, I keep a list of blog ideas too. Finding a link-up to join is another source of inspiration. My book reviews are often scheduled in advance. I write them when I have the time, which isn't always on Friday when the link-up occurs. Doing the "Blog Every Day in May" challenge really encouraged my writing with all the different prompts. When I had extra time, I just went through the list, found a prompt that spoke to me in the moment, and wrote that blog post in advance. I will definitely turn to prompt lists again in the future. writers block is the worst! now if only I will remember to come here when I have writers block! I've definitely been there before and with my horrible memory I am always forgetting about awesome ideas I have for posts. I will wake up in the middle of the night and remember and quickly jot it down. I've found that I have a day where I think about 7 different posts. Sometimes I can write it all in one sitting, but I occasionally have to drag it out for a few days to get my thoughts straightened out. Great ideas. I also keep a list of prompts or google "writer's prompts" and just start jotting things down. That has never become a post, but it's given birth to one for sure. It was mainly a joke, because obviously writers block exists-- but in my classroom, and in my life, we just pretend it doesn't and we write anyway.